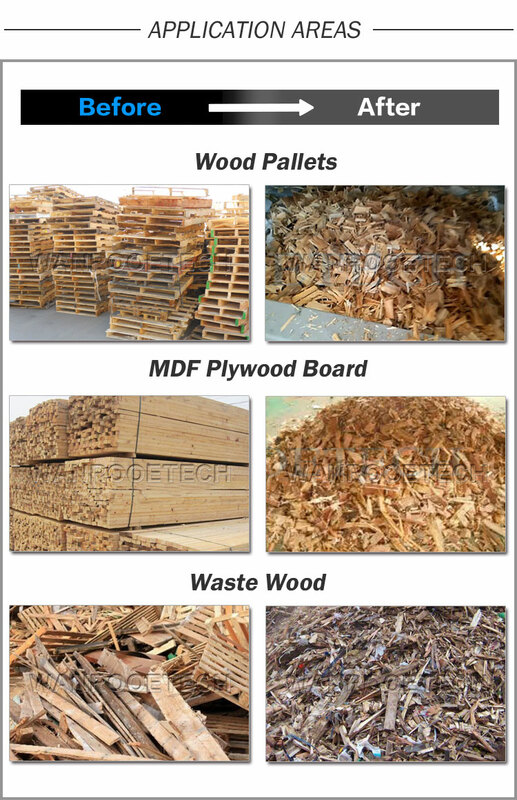 Our PNSS series double shaft shredder machine can handle many types of wood including used wood pallet, hard or softwoods, particleboard, plywood and MDF(medium density fiberboard). For the pre-breaking and rough sizing WANROOETECH offers a wide range of shredders, from 15kW to 150kw drives. These shredders can handle all kind of input materials at ranges from 500kg/h to 5t/h. Commonly the output chip size is about 50mm but also smaller sizes can be achieved. The shredder’s blades are designed using highly hardness alloy steel and strengthened, they are not very vulnerable to contaminations like steel wires or nails, which can be removed afterwards with by magnets like cross belts magnets or magnetic head drums. Notes:The main shaft blades diameter, and also the tickness can be adjusted according to customer exclusive requirement.